…that our washing machine would die, too. The bright side? The room that I gave up on finally gets a refresh! Which is basically a small, cramped hallway. The culprit for most of the dirt that gets tracked into the house. It’s attached to what is supposed to be our garage Mark’s woodshop. He is in-and-out of this door about 50 times per night (no joke), so you can imagine the amount of sawdust that gets tracked inside. Guys really don’t care when they’re covered in sawdust. It’s kind of a hot mess. 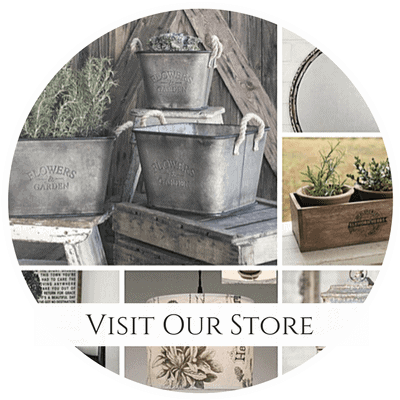 The goal is to make it as pretty and pleasant as possible. We need to paint the door, choose a new wall color and repaint the trim. I may stencil the walls, but I’m going for and “elegant-yet-industrial” feel. Not too busy. I definitely would like some new fun wall art. It deserves to be prettied up and more functional, despite the fact that it’s located in the tiniest and highest trafficked areas of the house. Our tiny laundry room is just a hallway off the garage. 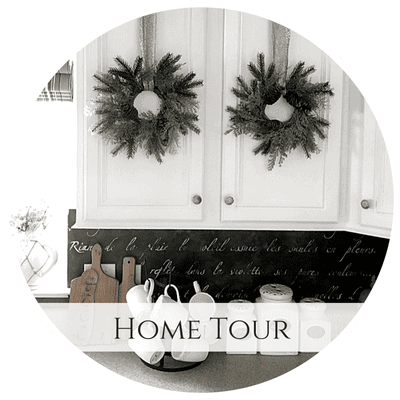 If you’d like a virtual 3D tour, click here. Only two configurations will work in this space. 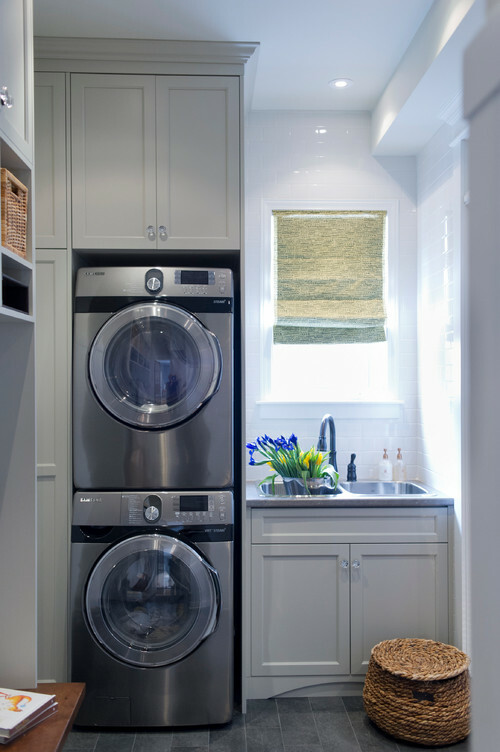 The first option is to stack the washer and dryer and to make the space to the right or left more functional. 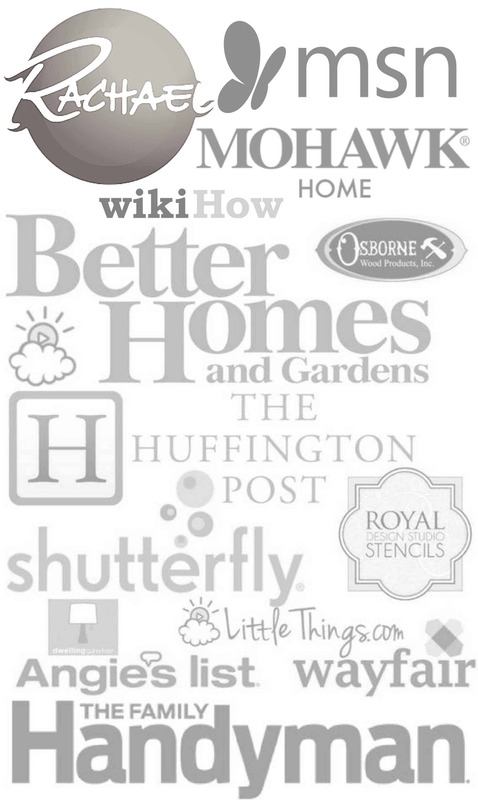 I love these ideas I found on Houzz. 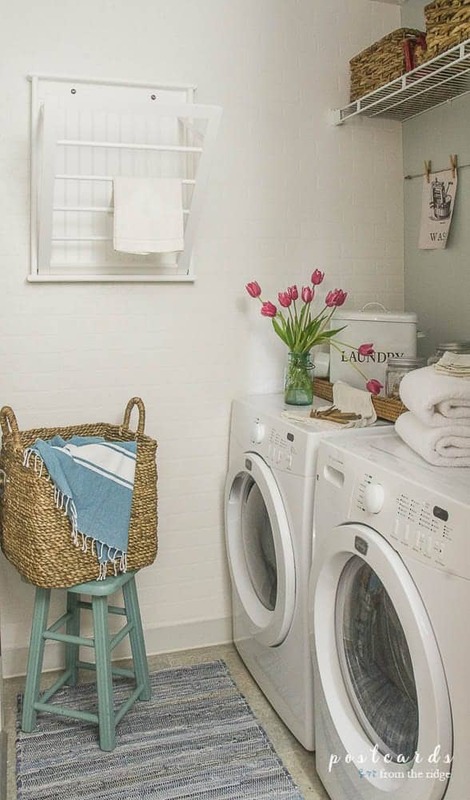 A gorgeous makeover by Postcards from the Ridge — click to get your FREE vintage laundry room printables! So cute! 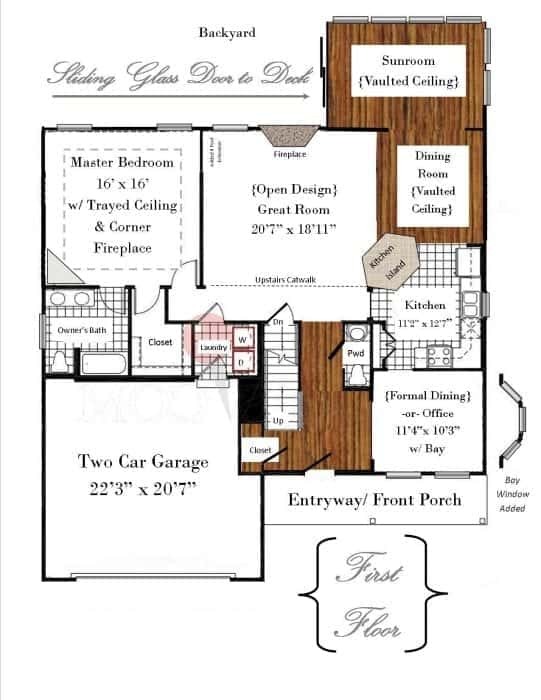 I shared only what I thought was realistic and practical to suit our space, just so I could visualize and plan around it. 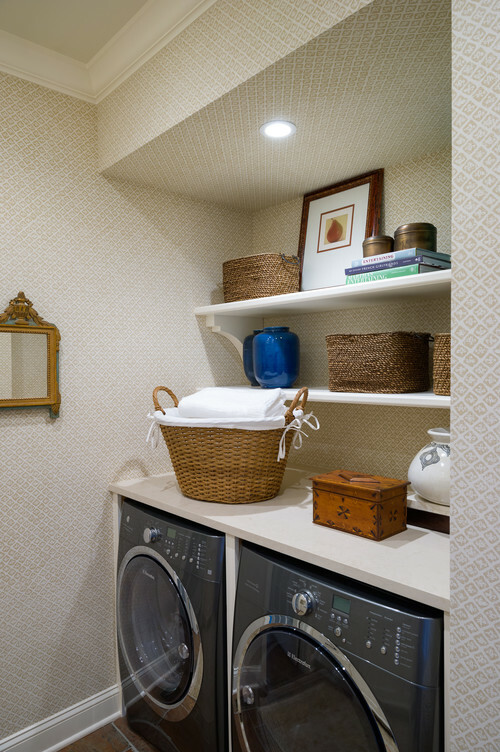 Oh, I’d love to have a huge laundry room…but maybe in the next house. 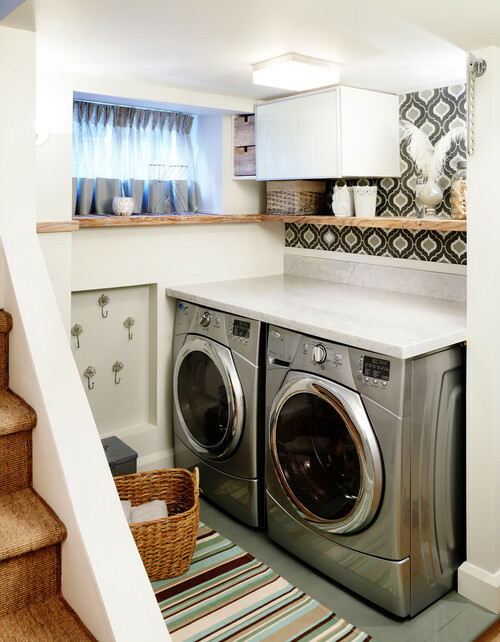 Do you have a tiny laundry room? What tips can you offer to make it more functional? Would you choose option #1 or #2?? 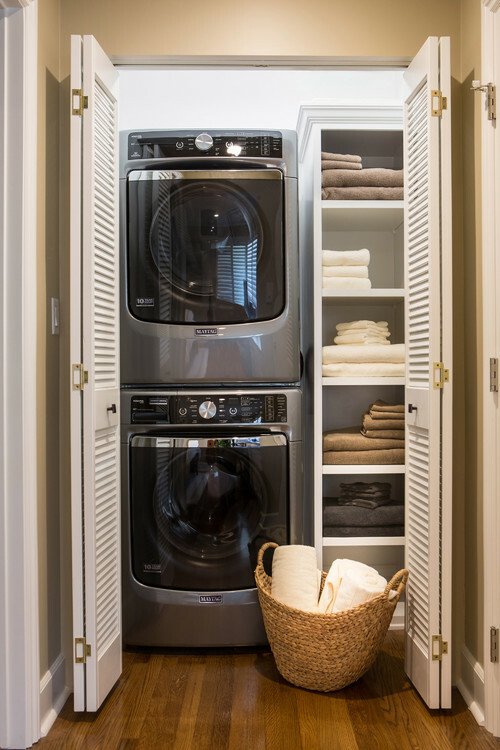 Do you like a stacked washer and dryer? Next time I update you, I’ll share an actual mood board including some of my favorite decor items that I’m eyeing up for this space. Tonight we remove the appliances as I start to ponder paint colors, stencils and cabinetry options. I’ve had HE front loaders for 12 years and love them…but unless you want to wrench your back out buy bending wayyyyyy downnnnn to reach inside the washer and dryer, either buy a platform or build one. I chose to buy mine and they came with drawers…extra storage is always welcome. Nancy, I’ve been worried about that too. I need to look for more ideas to elevate them just a bit. Ours also have drawers but they are way too high to add a top shelf. Thanks for your comment! This is great timing! 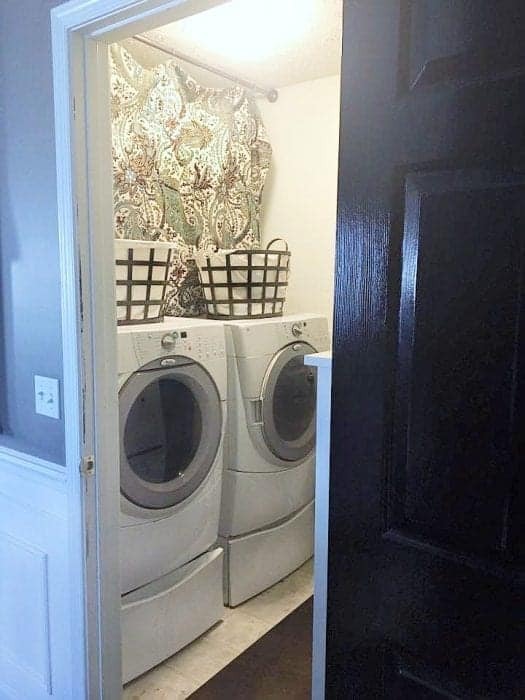 I’m working on some ideas for my laundry room, which is really just a closet. I live in an apartment so I have limited options but at least there are some. I’m anxious to see what you come up with! Hi Melanie, we are torn at the moment! Whatever we decide I know I’ll be stuck with our decision for 12 more years 🙂 so we are thinking hard about this one! I like the side by side lowered with a counter over it and shelving above. 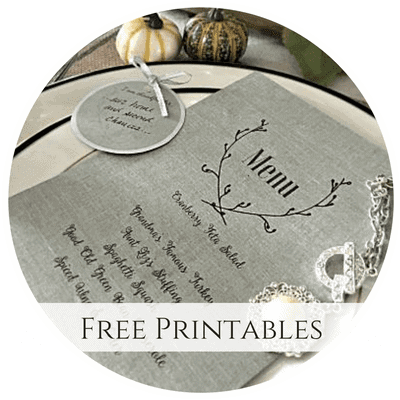 That gives you a folding space, storage and a place for a couple of cute things to sit. That’s what I was leaning towards, too. We really need a folding area…but I’m hearing we will need to build a platform to elevate them a bit. Decisions, decisions! I LOVE the idea of stacking them with the sink for rinsing and pre-spot treatment. 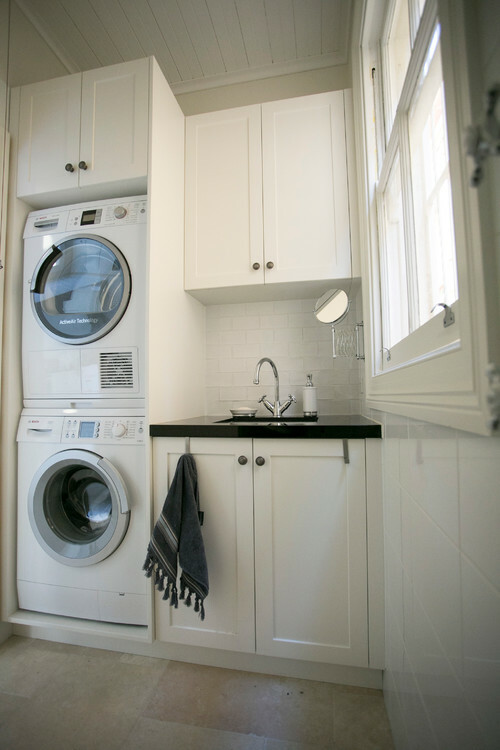 I absolutely miss having a sink in my laundry room now and will not get another house that doesn’t have that feature or a way to add it. A laundry sink can be used to rinse off muddy shoes, paint brushes, even wash a dog depending on the sink you choose. I had a deep sink and boy do I miss that with all my heart! Good to know, Linda. This helps! The sink would definitely be nice. I would LOVE a sink but we’d have to “hack” our way to create a fold-down modular surface, maybe one that can be lifted to access a sink. Hmmm…. jeanette, you have the room to keep them side by side, so take advantage of it. stacking them always looks cramped, like in an apartment. 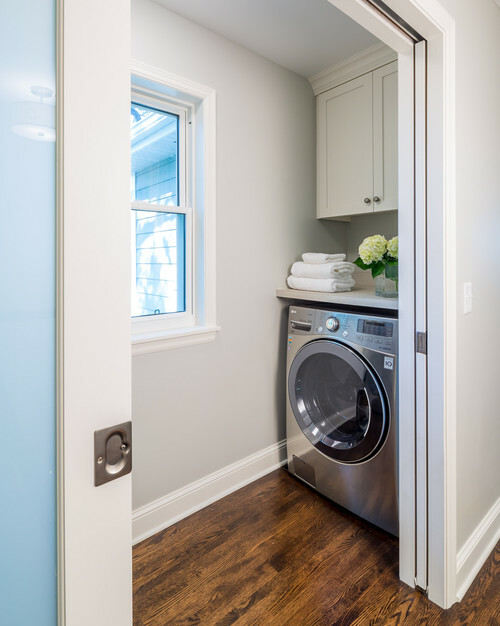 change your entry door to a pocket door. that would open up a universe of possibilities for the wall opposite your washer and dryer—storage, artwork, a comfy seat, maybe even a beverage cooler. have fun and good luck! 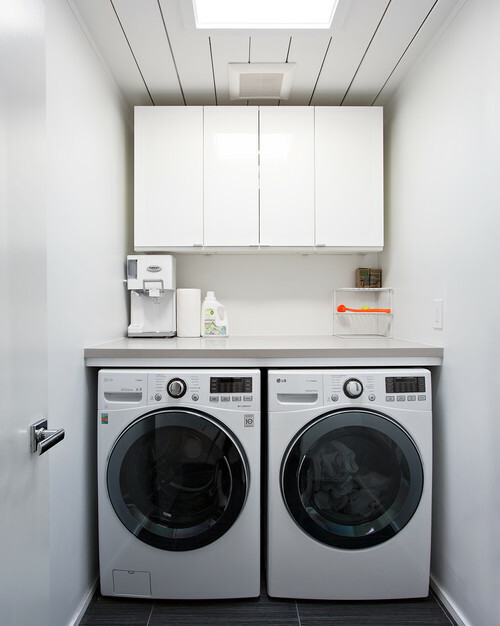 We have a similiar layout where our laundry room is the walkway to our garage. It was meant for a smaller machine but we have the large front loader washer and dryer in there with them both on the pedestals. Let me tell you, it’s the most annoying thing in the world. 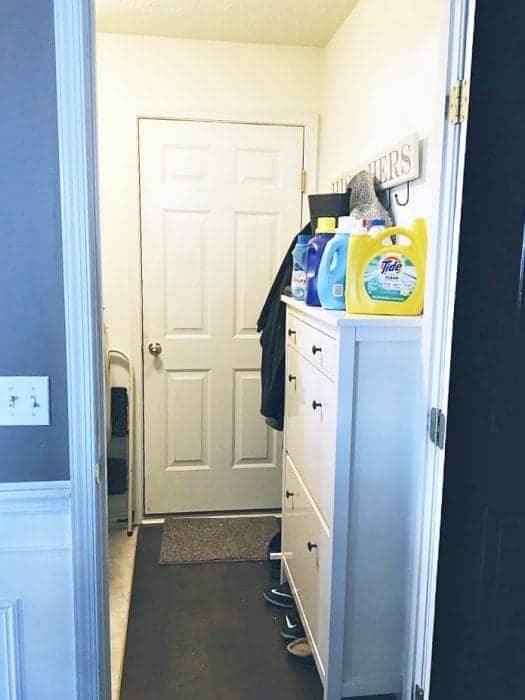 You walk by it with grocery bags in tow and pop the door open. . Then my husband will throw his dirty clothes on the floor in front of it so you can’t even put the garbage out without having a sock in your way. Whoever designed these houses this way obviously never did a load of laundry in their life! We have a closet on the opposite side of the door as well which is even more of a pita! I once had a laundry sorter in it but i needed the room. So if you can make yours work I can’t wait to see it! 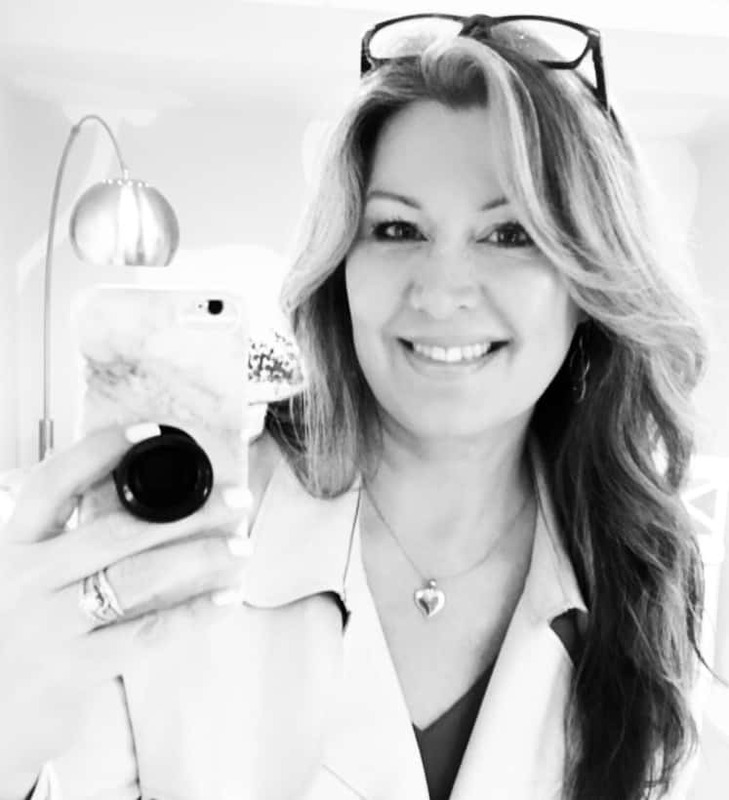 Hi..I love the STACKED washer and dryer..looks like there would be more room..AND..I have the same problem with “someone”..ahem..in and out 50 times a day from “workshop”! 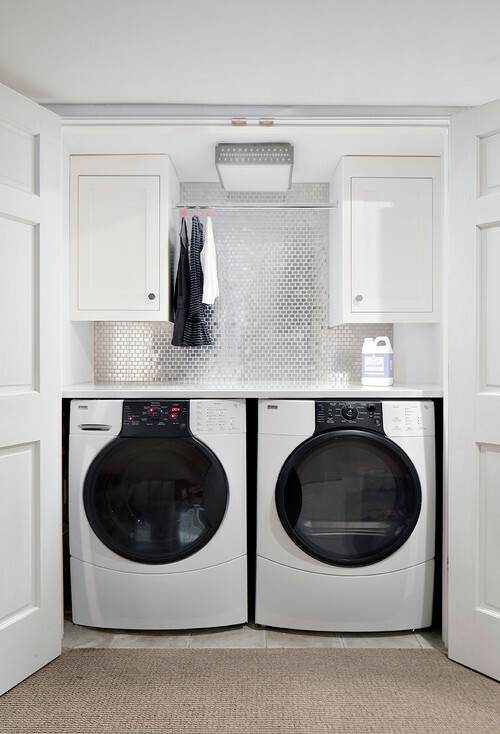 While I like the look of a stacked washer and dryer, I don’t think that I would ever consider stacking them. My washer and dryer, despite being fairly new, sometimes spin like crazy. I would be afraid of whichever one is on top going in to a spinning frenzy and falling off.